Whether you're already a convert or you're stocking up to get started with the Todd English Vacuum Blender, this is your next step! Great for blending up a little extra on Monday to see you through the week, this fridge-friendly jar is good to go wherever your day takes you. Extra jar lets you get more use out of the Todd English Vacuum Blender. Sealed lid avoid spills and make it easy to store in the fridge. Plastic to reduce shatter risk. Please see the More Information About Vacuum Blending tab for important care information. In the market for the cool tool to fuse flavors? Break out of ordinary meal mode with fantastic smoothies, great dips and salsas, yummy nutrition shakes, perfectly blended pancake batter, crushed ice, delightful purees and much more. A blender is perfect when you're in the mood to mix it up for your taste buds. The quintessential gift for newlyweds, blenders are traditional and contemporary wrapped up into one jack-of-many-trades appliance. A kitchen without a blender is like a workshop without a hammer. The question remains: which blender is best for you? Motor sizes in blenders are determined by their wattages. More wattage equals more power. More power is important when you're giving your blender heavy tasks such as continuous ice crushing and whole food chopping. Common blender motor sizes run the gamut from 400 to 700 watts of power. A lower wattage model is fine if you primarily intend to blend liquids, such as in making daiquiris, smoothies, protein drinks, etc. Blenders come with speed choices ranging from just a few to nearly two dozen. More isn't necessarily better when it comes to speeds. You may use only several speeds ever, or you may enjoy the nuances of all the different speed choices. Typical home-use blenders offer five to seven different speeds. Some experts say a good blender can be one with a high setting, a low setting and a pulse setting alone. The pulse feature is wonderful for preventing over-blending and offering the user flexibility and control. It also works great for crushing ice in blenders that don't have a specific ice-crushing button. Just remember to add ice cubes slowly, about one to three at a time. If you are planning on crushing ice with any regularity, consider purchasing a model with a special ice-crushing feature. This feature usually means that the blade is set up to keep the entire contents of the container moving, avoiding settling on the bottom that would cause an inconsistent texture. Another popular feature is a smooth touch pad that lacks all the spill-collecting nooks and crannies of traditional buttons. These touch pads are easy to clean with just one wipe. One important variable among blenders is the container, or carafe, style and construction. Containers come in either glass or heavy-duty plastic. Glass is generally considered the more durable of the two. Plastic is a fine option for lighter use, although it may crack with wear. Standard blender containers range from 32 to 50 ounces in capacity, but some special for-the-bar blenders come with containers that will hold up to 64 ounces. Your family's habits and your entertaining habits will determine which size works best for you. While amusing, those sitcom moments when a blender's contents spew out the top are not reality with today's lids. Blender manufacturers took to task and developed lids that, firstly, stay on securely without manual holding and, secondly, feature a pop-up top that allows you to add ingredients while the blender is running. Splishing and splashing are things of the past! Lookin' good or lookin' in the cabinet? Will your blender perch on your kitchen counter forever after or will it be relegated to the deep recesses of your cabinets? Answering this question should help you determine how important a blender's looks are to you. A blender that fits the style and coloring of your kitchen may be just the ticket if you plan on keeping it within arm's reach. Blenders are generally very easy to clean and maintain. Simply lift the carafe off the base and unscrew the blade and rubber seal. These parts?along with the lid?can all be washed with soap and water, and usually are just fine in the dishwasher. You'll want to check your owner's manual to be certain about your specific model's care requirements. Blender bases may not be submerged safely in water or a dishwasher since they contain the mechanics of the appliance. Generally these are easy to clean with just a washcloth. Transform your home using the highly refined, sophisticated style of Todd English! Created by world-class chef, restauranteur and entrepreneur Todd English, each product in the collection reflects his own personal style and love of layering flavors to create something exquisite. A five-time James Beard* award winner with an eye for innovation and design, Todd will bring the same excitement and passion into your home that he brings to each of the meals he creates in his kitchens. 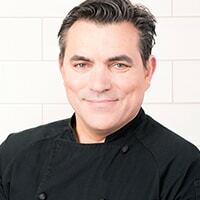 Endorsed and created by world-class chef Todd English, this collection is EXCLUSIVE to Evine! One of the most decorated, respected and charismatic chefs in the world, Todd English has earned a staggering number of accolades during his career. He has been recognized by several of the food industry’s most prestigious publications, established one of the best-known restaurant brands in the nation, published four critically-acclaimed cookbooks and was named among the 50 most beautiful people by a leading, national magazine. Hand wash with hot water, liquid detergent and a non-abrasive sponge. Why Blend & Drink Smoothies? Healthy ingredients galore. The number of healthy ingredients available for smoothies is practically limitless. After your basic fruits and vegetables, you can add an array of the various spices, herbs, superfoods, and other health foods. Get your daily allowance of fruits and vegetables. Consuming the daily recommendations of fruits and vegetables can be a challenge. Blending a couple of servings of each into a smoothie helps ensure you meet your body’s daily nutritional needs. Quick and easy. Making your own nutrient dense smoothie doesn’t take as long as preparing most meals, giving you more time for others things. Taking a smoothie with you is an additional convenient option. Delicious. Yes, eating healthy and tasting great can go hand in hand. With so many recipes to choose from, finding one or more pleasing to your palate is a breeze. Meal flexibility. You can consume a smoothie at any meal, not just breakfast. No time for lunch? Make a quick smoothie, or grab one you've been refrigerating already. What Are the Benefits of Vacuum Blending? In a normal blender, air is forced into the ingredients; however, air contains oxygen that oxidizes the ingredients. By vacuuming blending, the air is removed from the blender and less oxygen is introduced into the ingredients in the blending process. By not forcing oxidizing air into the ingredients when blending, oxidation is slowed. Slows the browning effect that happens over time after a smoothie is mixed. Due to vacuuming the ingredients do not separate as easily and this means that it maintains the original texture longer. Vacuum blending gives a softer and smoother texture. By reducing the extra air, it allows for fewer of the bubbles that can happen when air is forced into the smoothie in traditional blending. More vivid, long lasting, and appetizing colors.